Home Microsoft Excel Why Are My Columns Labeled With Numbers Instead of Letters in Excel 2013? After using Excel for an extended period of time, you become very familiar with the way that the program operates. As such, you probably begin to take certain things for random, such as the style that is used to identify cell locations. 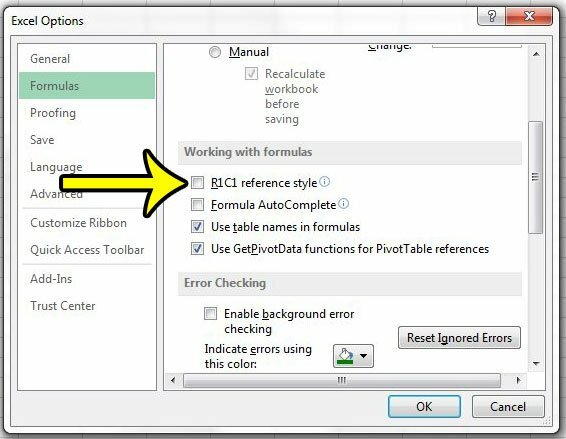 Therefore, if you happen to use Excel 2013 and notice that columns are labeled with numbers rather than letters, it can make it difficult for you to manually create formulas. 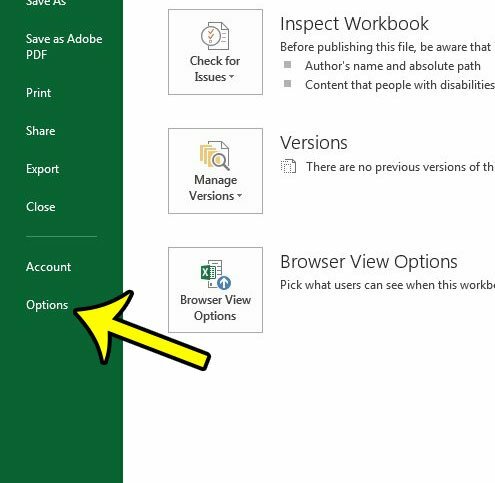 Fortunately this change is caused by a setting called R1C1 reference style that has been enabled on the Excel Options menu. Our guide below will show you where to find this setting so that you can disable it and return to the default column letter labeling with which you are likely more familiar and more comfortable. The steps below will show you how to either enable or disable the R1C1 reference style in Excel. 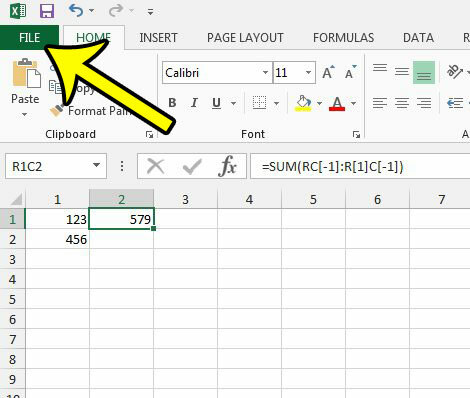 Note that Excel will automatically switch any existing formulas to the reference style that is currently active, so you won’t be left with a bunch of broken cell references. Step 5: Check or uncheck the box to the left of R1C1 reference style in the Working with formulas section of the menu. Click the OK button at the bottom of the window when you are done. Uncheck the box to the left of R1C1 reference style. Are you having difficulty getting your spreadsheet to print properly? 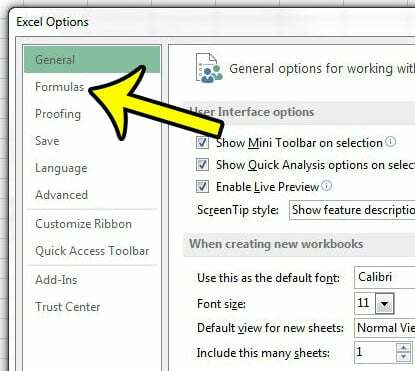 Our guide to printing in Excel will show you a number of different settings that you can change in order to alleviate many of the printing issues that can arise in Excel 2013.